No need to lift the pin OBD Key Program! 8. Tested the Mini ACDP here with 4 CAS3 and one CAS4+ without any problems. For the first CAS3 I needed more than 5 minutes to place the pins correctly but after some experiences I needed only 30 seconds for everything. Important is that you use the small screw tools to clean the contacts. For FEM/BDC I use my Autohex II and for eeproms my other stuff like R27, Codiprog USB mk2 and Orange5. 9. something good to share: For FEM/BDC, 3 months ago, it needed FEM electric bridges to complete. Now update Mini ACDP to the newest version, it won’t need the electric bridges any more, and it is easy to use. Q:Hello i have your tool bmw acdp and i need authorisation bmw egs isn clear A51A how much for it? Q: Can this device reset (to zero )bmw used key without opening ? 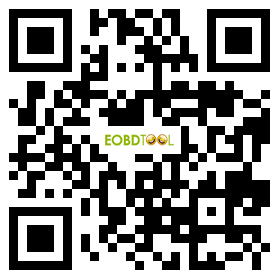 Q: I have a bmw e70 x5 year 2007, it is CAS3, what i need buy to do dash via obd port? Q: I have 2013 bmw f30 and all key lost, what module you recommend to buy? Q: Whether it support for BMW 6HP，8HP TCU virgin; whether it can read and write isn from cas to egs? A: It support 8HP only currently, 6HP model will be available in coming update. A: It support,but if newest x5 is bdc2, it do not support, it only support bdc1 before years 2016. After writing from the key, the central locks do not open and do not close. Q: I want to change vin on my all modules in bmw f30 2015. correct odometer and write delete key, what shall i buy?